Join us to our amazing bird eye view to Sahl Hasheesh cost and hotels, we will give you an amazing experience with our Sahl Hasheesh parasailing trip. 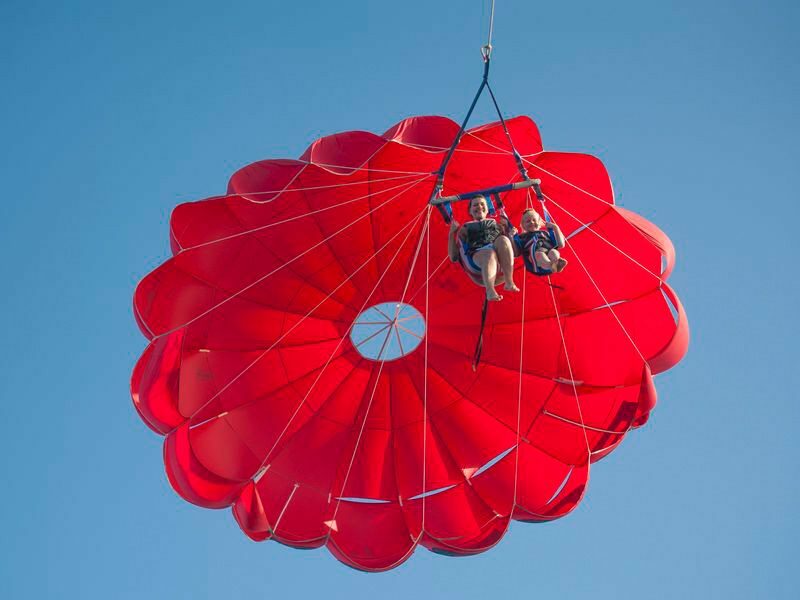 We will start by taking the boat from the marina and start flying by the parachute for 15 minutes . 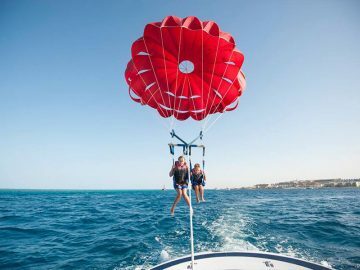 parasailing is one of the most enjoyable and full of family fun water activity were a parachute is attached to a speed boat and will take a round in the sea while riding it. Trip doesn’t include transportation, extra price will be charged. For more info or reservation by phone call us on: +2-01155592056 / +2-01020811625. Another trip arranged by RedSeaZoom was thoroughly enjoyed. Great value compared with resort prices and RSZ always on hand to assist via whatsapp which was great. Like having a guide 24-7! 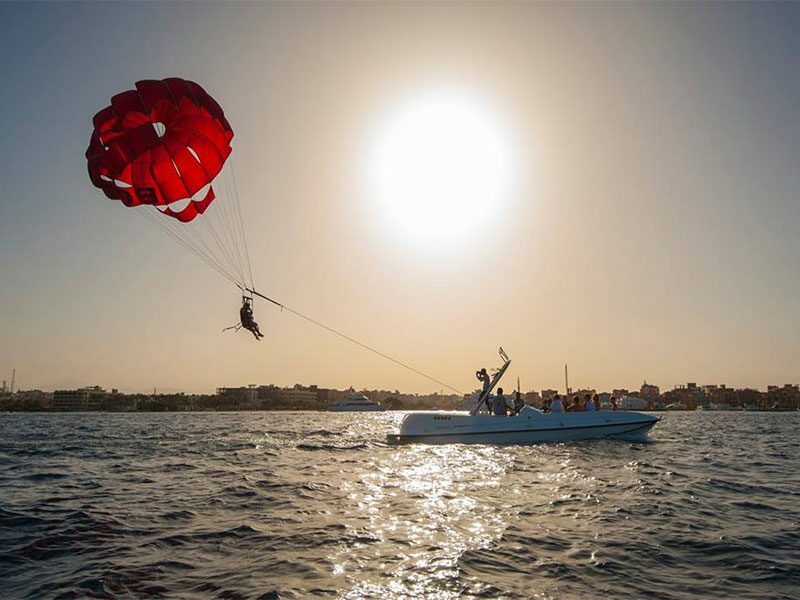 Sahl Hasheesh is absolutely beautiful and well worth doing the parasailing from there.